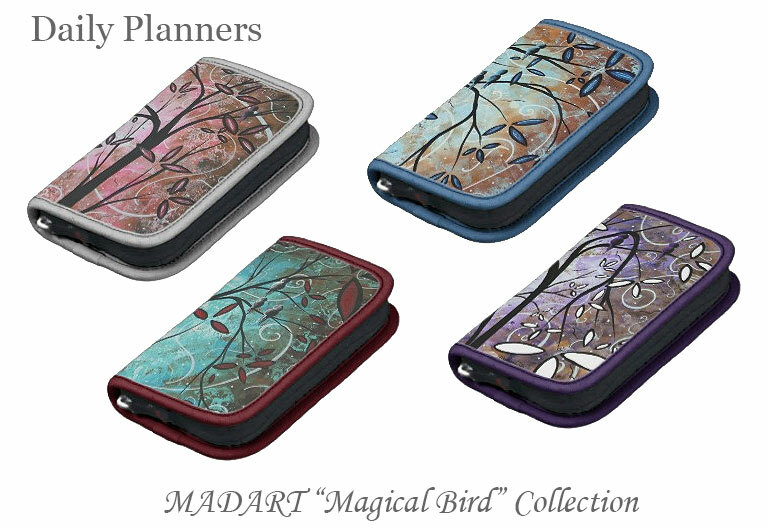 These are complimentary bold, colorful Paintings and patterns created by MADART to coordinate across different product categories. 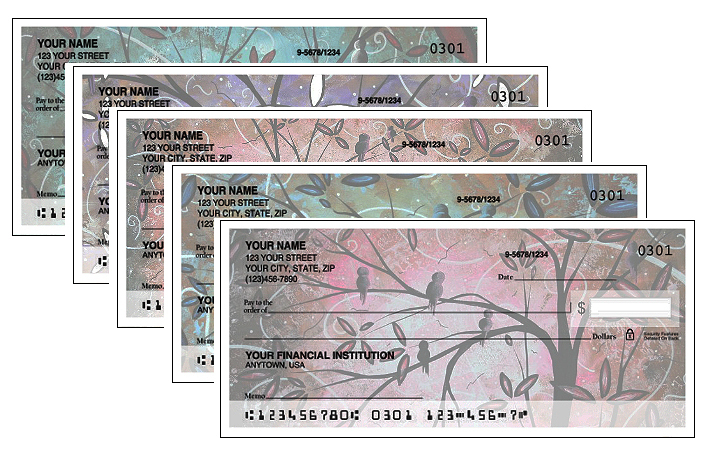 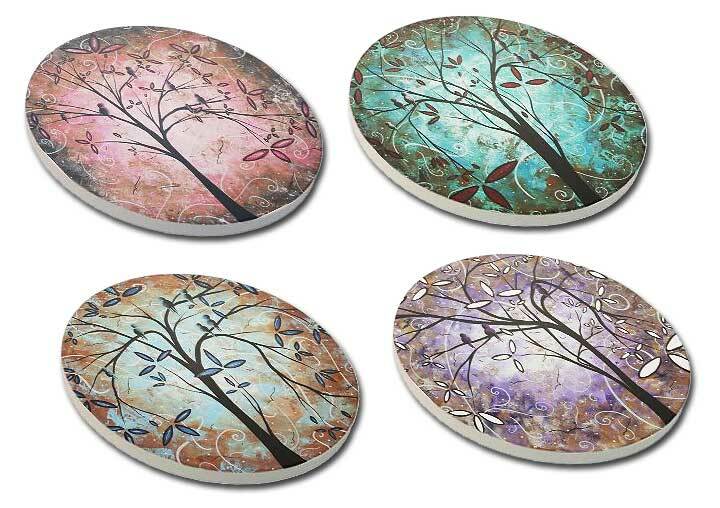 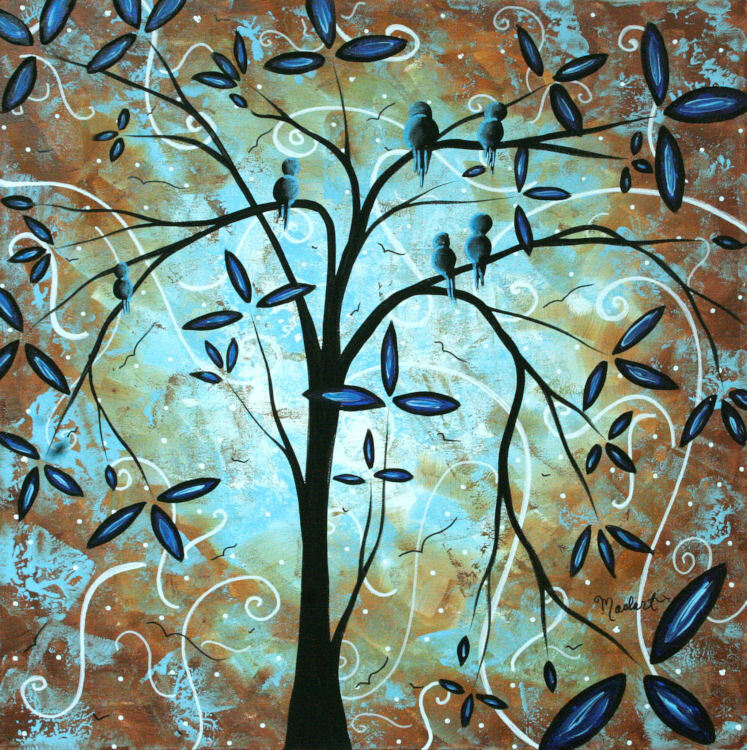 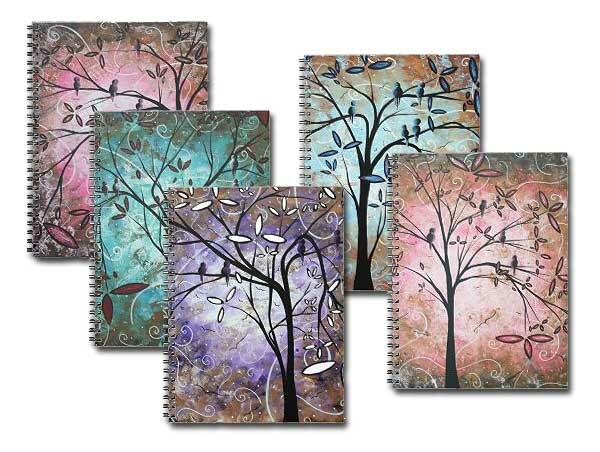 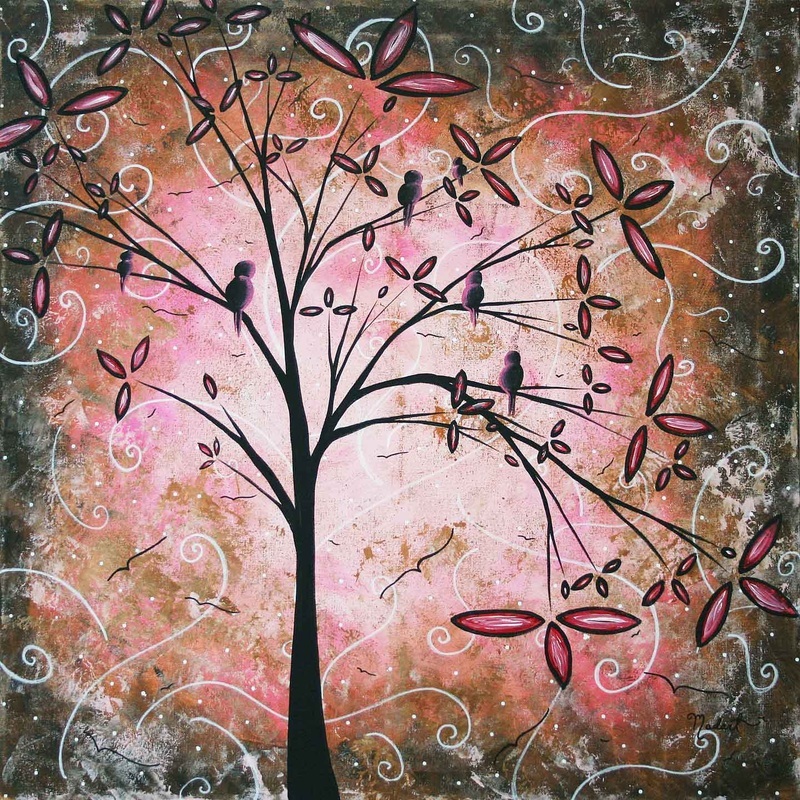 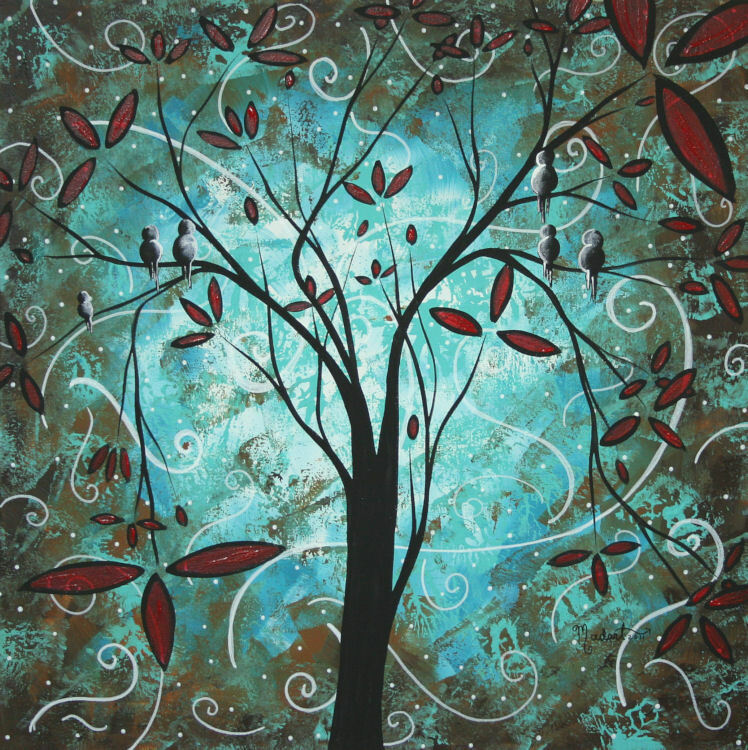 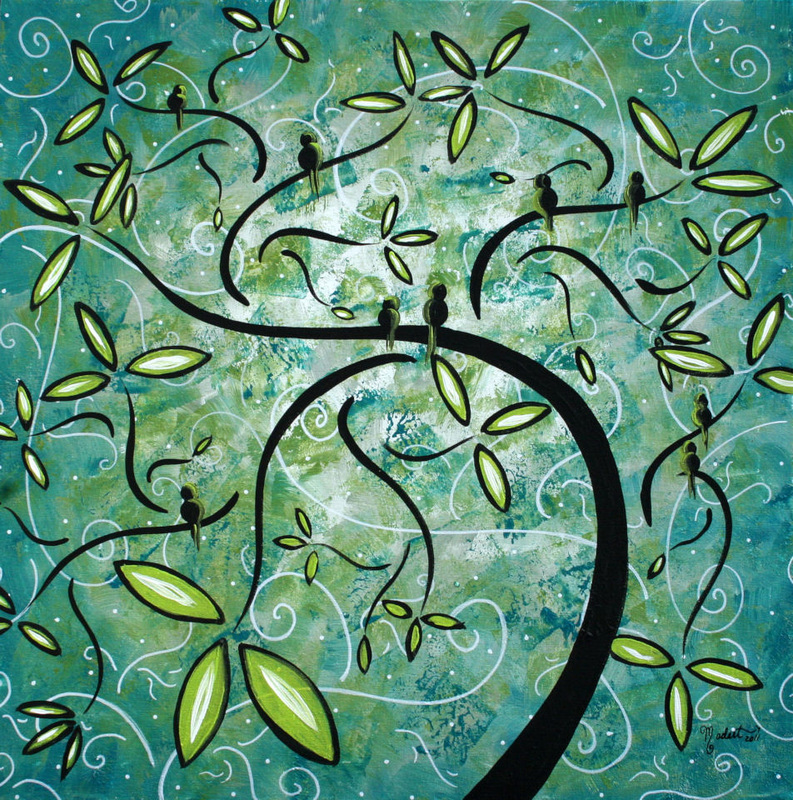 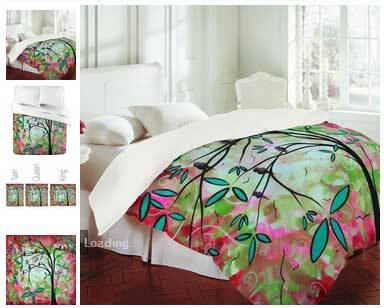 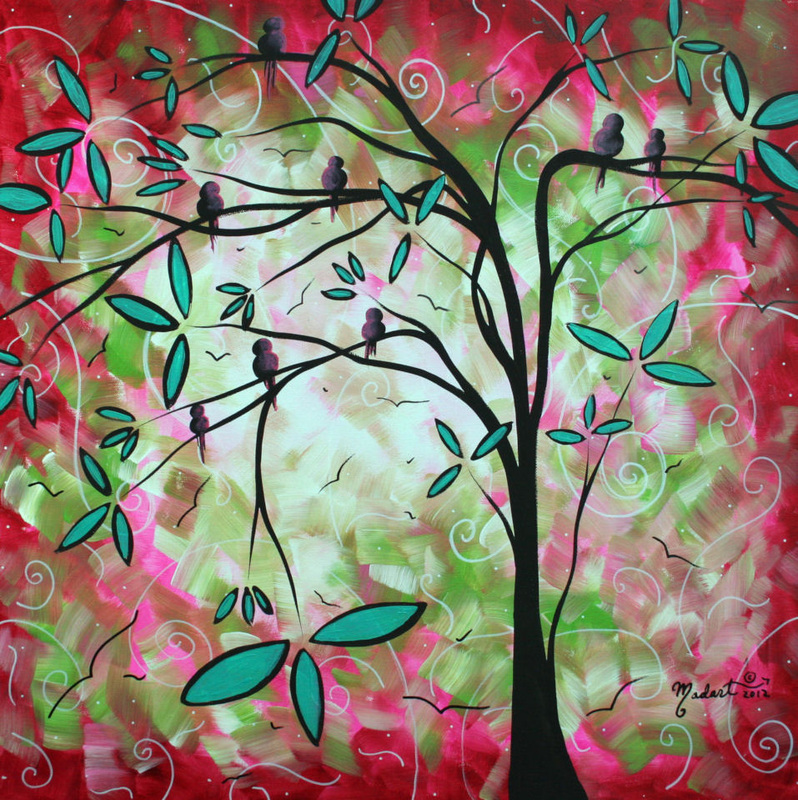 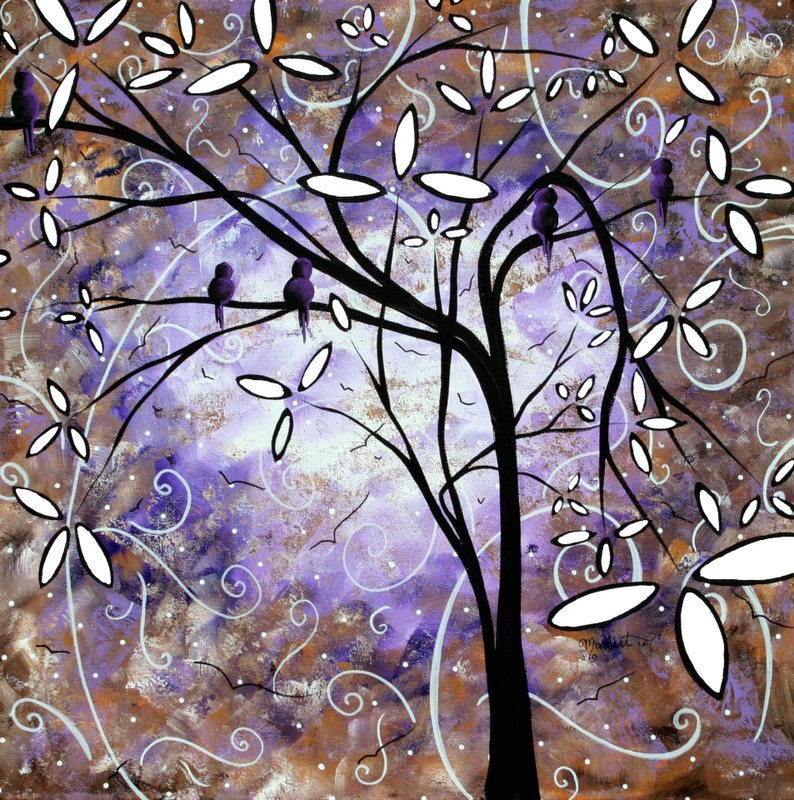 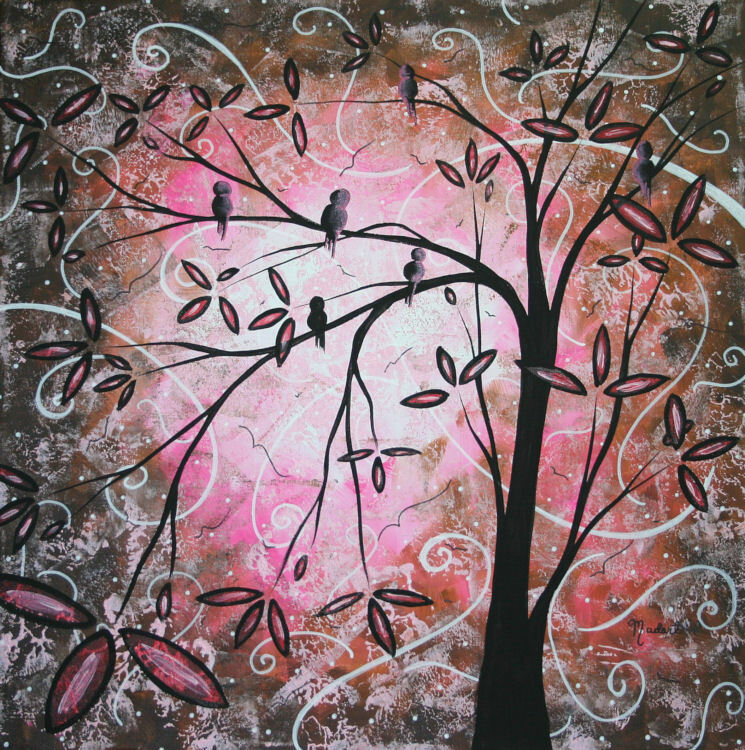 This Collection began with a series of paintings in the popular and trendy shades of Turquoise, Pink, Purple, Aqua and Brown with a tree and bird silhouettes combined with scrolling designs and circles. 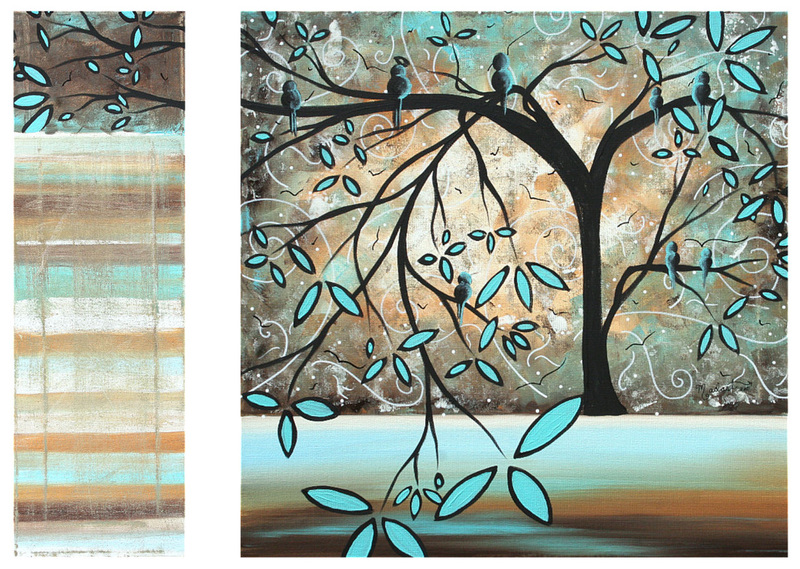 The various patterns were created to compliment the original paintings.